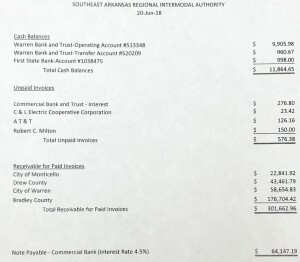 According to reports from Wednesday’s meeting, the previous owners of Arkansas Midland Railroad did not get approval from Union Pacific to install the crossing of the intermodal access road, before authorizing the intermodal authority to build the road across the track at its current location and where to install the switch. Railroad officials notified the contractor of the problem as the road was reaching the railroad right-of-way. That was the first time anyone local knew this was an issue. 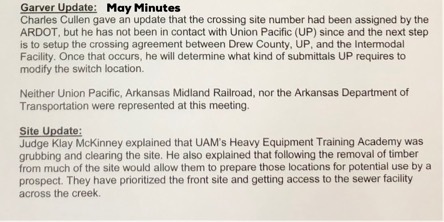 The specific problem is that according to Union Pacific, the railroad track swith and the road crossing must be a specific distance away from each other. UAM CTC’s heavy equipment class has done the grubbing and stump removal, preparing the property for further improvements. 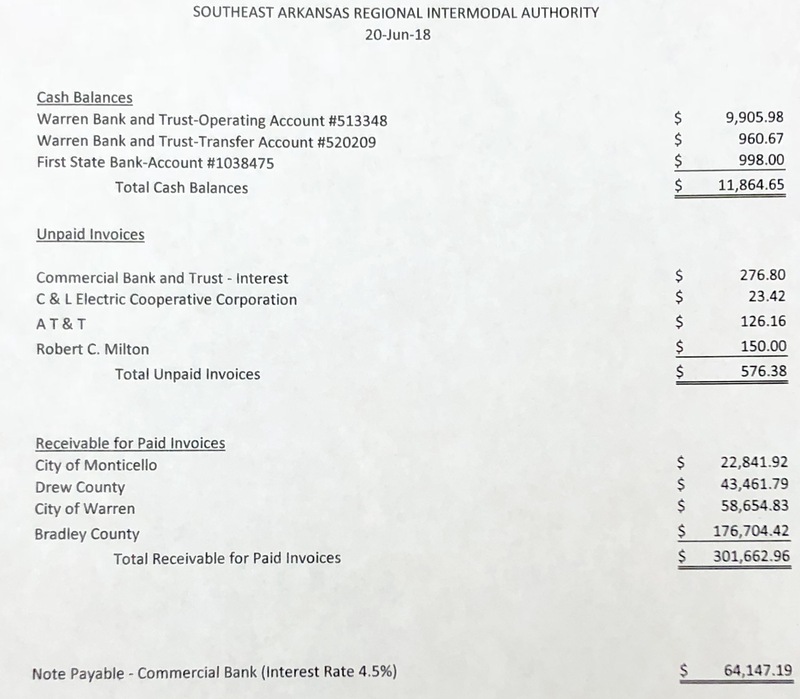 Due to financial limitations, Bradley County has not been able to make expected payments for their part of the facility. They have, however, performed approximately $100,000 of improvements on the property, ranging from bbush-hogging, grading, dozer work and other needed improvements. This entry was posted on Thursday, June 21st, 2018 at 12:45 am	and is filed under City, County, Intermodal facility, Video. You can follow any responses to this entry through the RSS 2.0 feed. You can leave a response, or trackback from your own site.